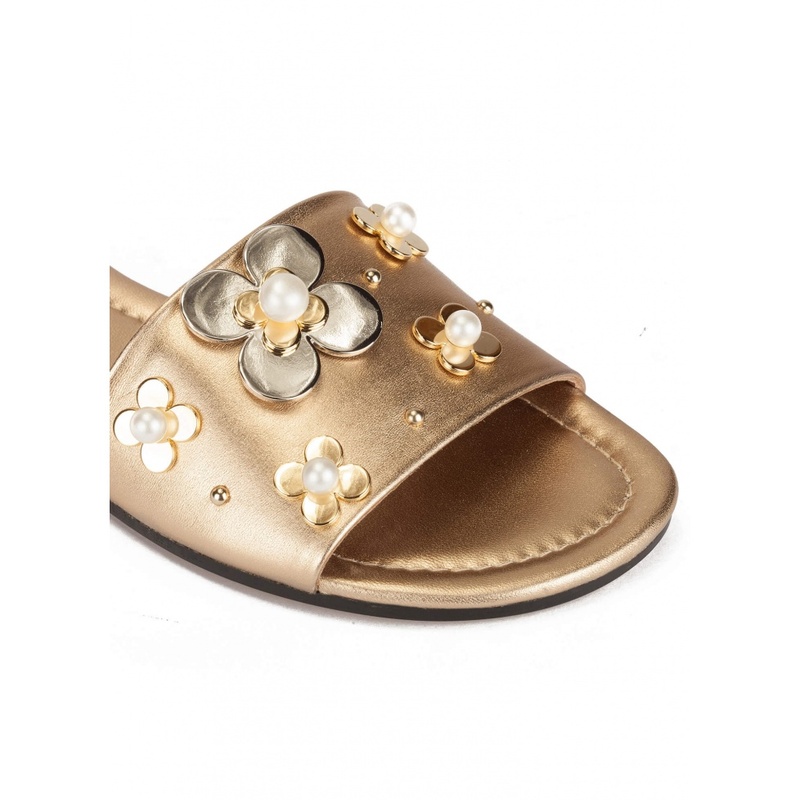 Flat shoes can also be sophisticated, and Oksana sandal is an example of this. 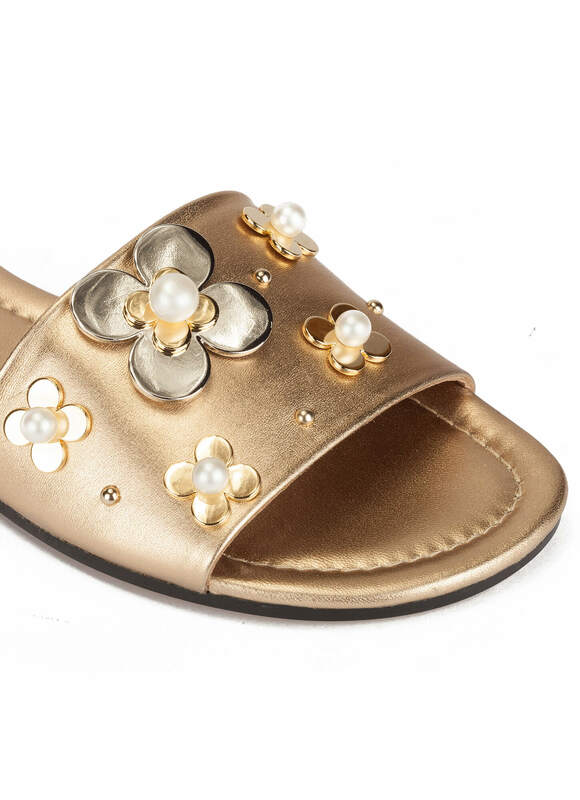 Crafted from golden metallic leather, this open round toe pair is topped with charming flowers of different sizes made from metallic pieces and faux pearls. 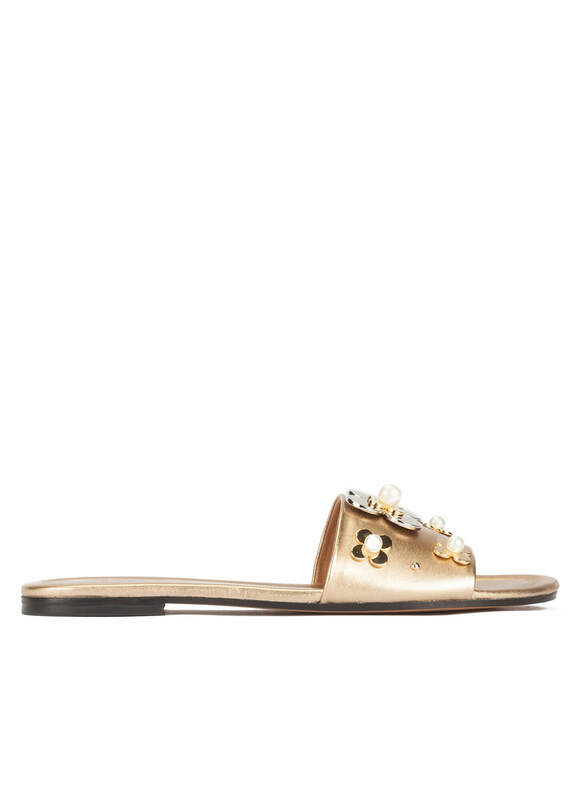 Style reference: AO254 Nappato Gold.